A pleasant start of the day, a tasty break in between or a delicious way to end the day. 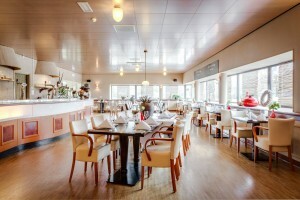 In all cases you are welcome in the restaurants of Hampshire Hotel Emmen. We invite you for a French breakfast, a business lunch or a surprising à la carte dinner. You can also come to us for festive buffets. But then we like it as much as you book in advance and already go through a few things with us. Pull in more? You are very welcome! 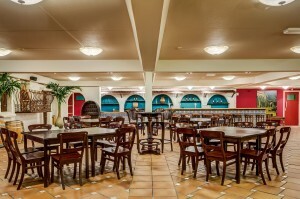 Your first impression of the Brasserie is perhaps the informal atmosphere and decor. Or the nice smells that come in from the kitchen. Often it will also be our employee, who welcomes you and makes you feel at home. And welcome are you sure! We are happy to inform you about the possibilities. Lover of a good card with dishes that belong to the season? We like to serve you special menus, always composed of fresh ingredients. Dietary wishes or a surprise menu? Our chefs let you enjoy good food, our service staff ensure that you do not miss anything during your dinner. Something to celebrate with a special dinner or a festive buffet? If you are coming with a party of 20 people or more, we invite you to our southern dressed Patio restaurant. Of course we have a number of buffets from which you can choose, but we also like to compose something based on your wishes. In this restaurant we also serve the breakfast buffet for our hotel guests. At the end of the day, you naturally look for the well-deserved rest of the hotel room. But maybe you first feel like a chat or some fun. 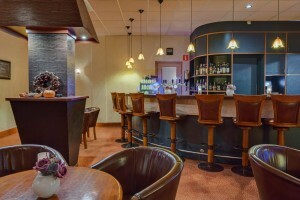 You are welcome in our Hotel bar until the early hours. Have a drink or follow the latest (sports) events and comment with other guests! A special evening, party or dinner with a group of at least 20 people? We cordially invite you in ¡Tenga Venga !. This party restaurant is decorated in Andalusian style, giving the afternoon or evening a unique atmosphere. We put the program, dinner or buffet entirely in consultation with you. Reservation is desirable and even necessary.